Imagine what it feels like to be a published author prior to finishing college. This semester, Emerson students Elizabeth Capot and Julio Villegas will get a taste of that feeling as they celebrate the success of their soon-to-be published manuscripts through Emerson’s Undergraduate Students for Publishing program, or PubClub for short. Each semester PubClub chooses its two strongest submissions for a bi-annual publication, through the Wilde Press book competition, which has been hosted by PubClub for over six years. The competition serves as an opportunity for undergraduate students interested in writing to get a feel for the professional industry and what it’s like to go through the extensive process of creating longer works. The themes conveyed in this semester’s winning manuscripts vary, as the writers drew from different sources of inspiration. While senior visual and media arts major, Capot, expressed her desire to speak to women about love, Villegas directed his message to the Hispanic community about oppression. Both authors produced powerful stories that are sure to challenge readers’ perceptions, according to members on the PubClub team. “I’m a big fan of literature, and these two manuscripts are very strong work, I’m very excited to see it come together,” said Patrick Groleau a sophomore communication studies major, who serves as the marketing director at PubClub. Groleau is one of the staff members at PubClub that takes part in choosing the two finalists. The two manuscripts with the most votes are passed on to the editing, copy editing, design, and marketing teams to assemble and promote the final product before the launch. Capot and Villegas’ manuscripts were the final two of 15 submissions this semester. The next step in the publishing process is to send both manuscripts to the Harvard Book Store in Cambridge where they will be printed and prepared for the Dec.12 launch date. Villegas’ manuscript, a collection of poems, will be PubClub’s first bilingual publication, featuring pieces in both Spanish and English. Villegas talked about his cultural background as a major influence for his poems, saying that growing up in a certain demographic and being exposed to a variety of people assisted his efforts when writing. “It feels good to see my goal accomplished, I think it is a tremendous testimony to the abilities of students of color here at Emerson,” said Villegas, a sophomore visual and media arts major. Villegas said he’s satisfied with his manuscript. 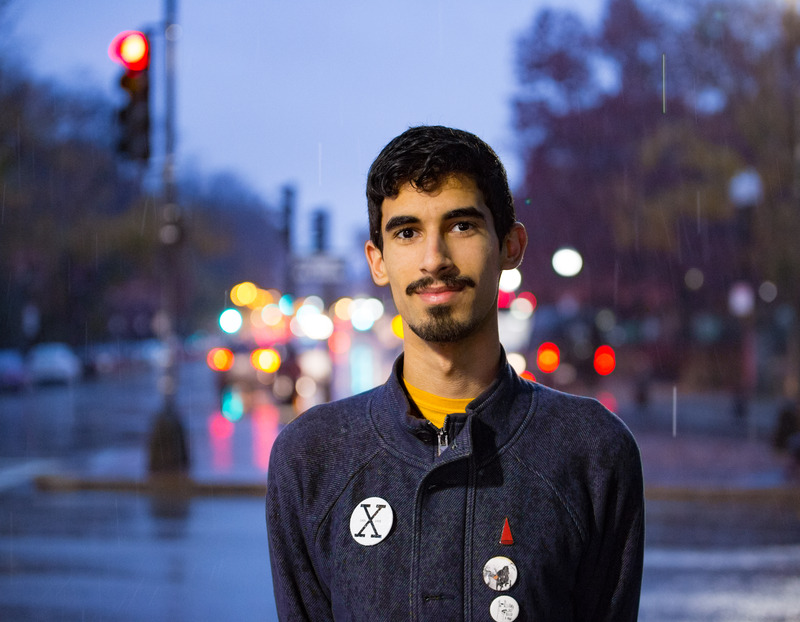 As a student of color, he wants to serve as an example for the other Hispanic students at predominantly white institutions. In addition to serving as an outlet for expression for the author, these manuscripts provide readers with relatable material. Capot’s manuscript is a compilation of short stories, telling the narratives of almost entirely female characters. She wrote about passion, love, and feminism. Capot wanted to capture girls in a new light and really bring versatility to her characters as a way to appeal to a larger crowd of women from all ages and backgrounds. Although the finished products came together well, the process was not void of writing difficulties. Villegas also discussed his difficulties regarding the writing process, however, he says it was worth it to see the end result. In addition to publishing the manuscripts, the two authors get to choose the organizations their book proceeds will go to. Both authors chose organizations that went with the theme of their manuscripts. Capot chose to donate her book funds to Days For Girls, an organization that makes female products for girls in developing countries. Villegas decided to give his book funds to Proyecto Carrito, an organization made up of Emerson students and staff, that focuses on issues surrounding immigration. Both authors are happy to see their work in print, and can attest to the experience being nothing but beneficial. “It feels amazing honestly, to see my name in print and to see my writing published and to know that it was something I was passionate about,” said Capot.